PROPERTY ADDRESS: 807 P Rd, Eureka Kansas 67045. PROPERTY DESCRIPTION: 196+- acres of diverse Greenwood County, Kansas land south of Eureka. 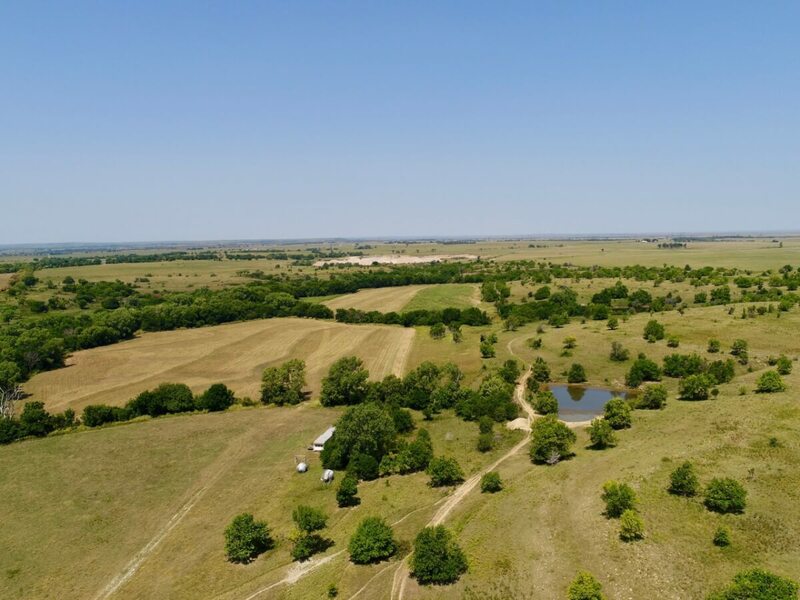 The property consists of 3 ponds, a creek that stays live during most winters, heavy timber, large rolling hills and elevation changes, and 30+- acres of tillable. Convert the tillable area to brome or alfalfa and/or food plots, and you’ll have enhanced one of the best hunting properties around. The pasture has been leased for cattle grazing by a local rancher. There is a small set of livestock pens on the property. LAND LOCATION: From HWY 400 between Piedmont and Severy, North on P. Road 6 Miles. 2017 REAL ESTATE TAXES: $638.12. TERMS: Earnest money is $35,000 down at the conclusion of the Auction with the balance due upon Sellers submission of merchantable title and closing. Closing date shall be on or before October 26, 2018. Closing fee and title Insurance fee will be split 50/50 between Seller and Buyer. Selling subject to easements, restrictions, roadways and rights of way. This property is not selling subject to financing or inspections. Interested buyers need to view the property prior to the date of the auction and have financing available and any inspections performed prior to bidding. All pertinent information is available upon request. All announcements made the day of the auction take precedence over any other announcements or printed material.